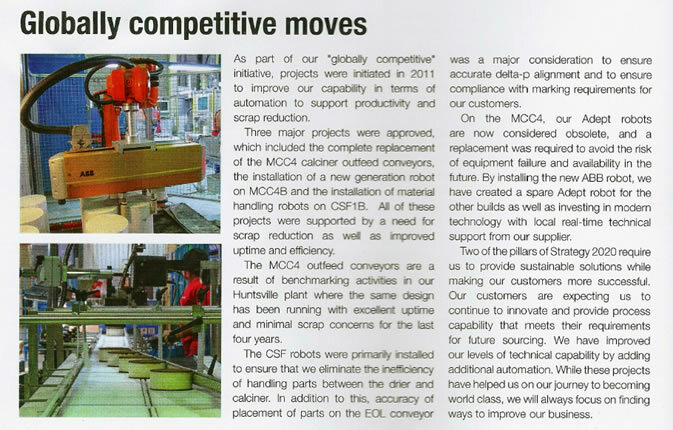 BASF South Africa needed to implement a robotic solution that would increase their global competitiveness, reduce scrap and increase uptime. 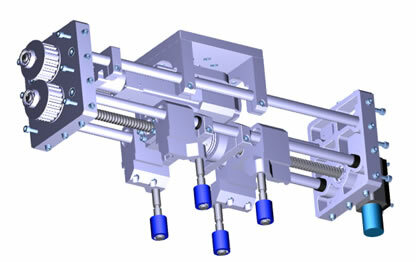 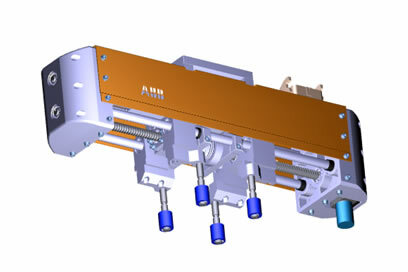 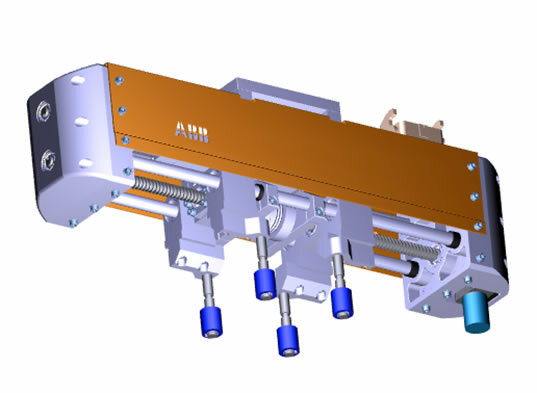 MSG Systems developed and integrated servo gripper to handle the fragile monolith substrates that could maintain the required accuracy to successfully pick and place at high speed. 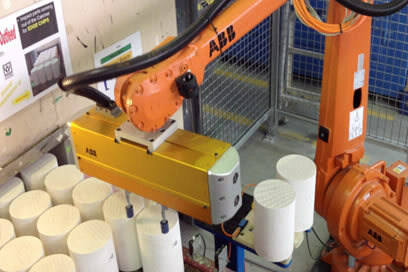 The grippers were fitted with a guidance camera and integrated with ABB’s Pickmaster system. 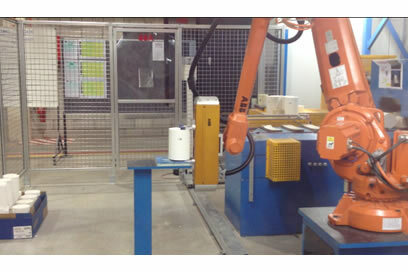 The servo grippers together with an IRB 2600 and 3 IRB 4400 robots automated the part transfer between the heating and calcification lines and also loaded the substrate coating lines.